(I received this book for free as part of Greyhart Press' 'read...review...repeat' offer). (This review may contain spoilers).The idea behind this story was quite an interesting one. I used to read quite a lot of science fiction books, but I found this idea to be written in quite a unique way.I liked the characters - at least the true human ones. I didn't like the superior/enhanced 'human' characters very much at all. I have to say, though, that I found them to act quite realistically in the setting that they were in.I think I'd definitely like to read further exploration of this universe. The idea that the disease only affected the so-called superior people was quite an interesting one and I'd like to see what, if anything, would be the fall-out from what happened on the other planet. 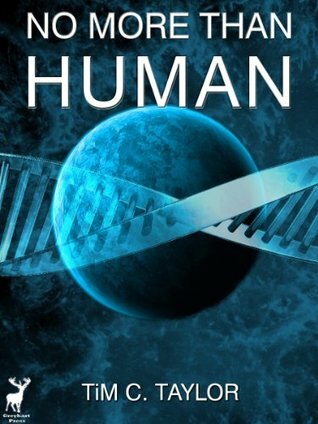 Interesting science fiction short story about humans and 'post-humans', and a time of flux while both are co-existing. Some interesting ideas (with parallels to many real-life situations) and strong scenes. Can't say too much about the plot as it's just a short story so don't want to give all of it away; suffice to say I didn't see some of the twists coming.There's an afterword from the author where he explains some of the ideas behind the tale; I enjoy reading about how other authors write, so this was a definite bonus for me. Kindle formatting and links all just about perfect, as has been for all the Greyhart Press books I've read to date.